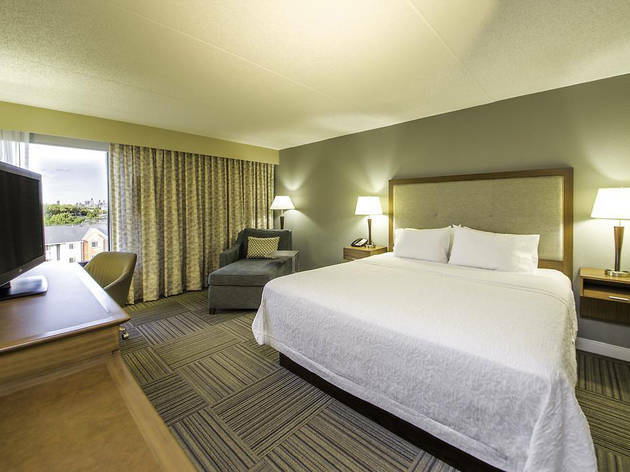 Featuring an ideal location near Philadelphia International Airport and the attractions of the city centre, this conveniently placed hotel offers thoughtful amenities and services, including free 24-hour airport shuttle service. Discover the historic city centre, stroll through the Italian Market or visit Valley Forge Historic Park, all located close to the Hampton Inn Philadelphia Airport. The legendary Liberty Bell and Independence Hall are also located nearby. Hampton Inn offers all guests access to the 24-hour fitness centre, 24-hour business centre and the 24-hour coffee station. 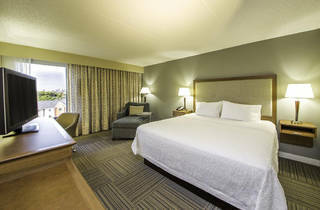 After a restful night's sleep, begin the morning at the Philadelphia Airport Hampton Inn with a free hot breakfast buffet. Browse the internet with free high-speed access or enjoy the outdoor pool.